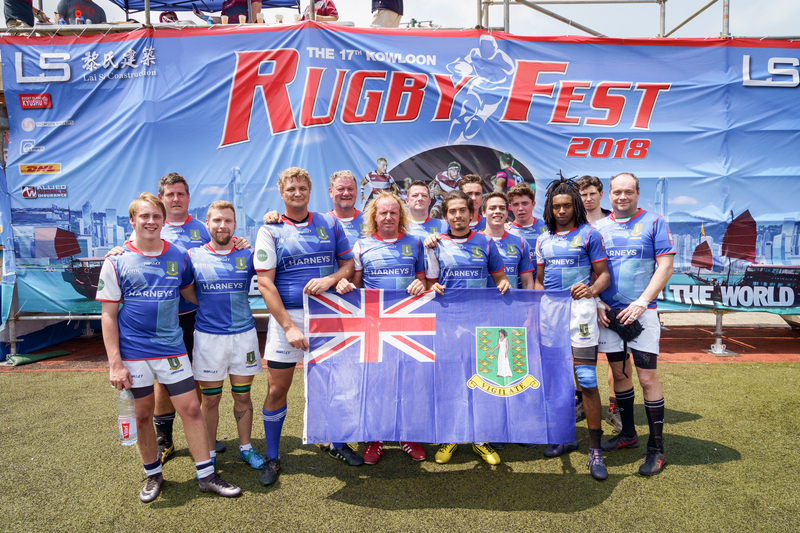 Hong Kong, April 6, 2018 - The British Virgin Islands has another sports victory to celebrate, with the BVI Rugby Team #BVIStrong bringing home the coveted cup for RugbyFest, held in Hong Kong on April 4. 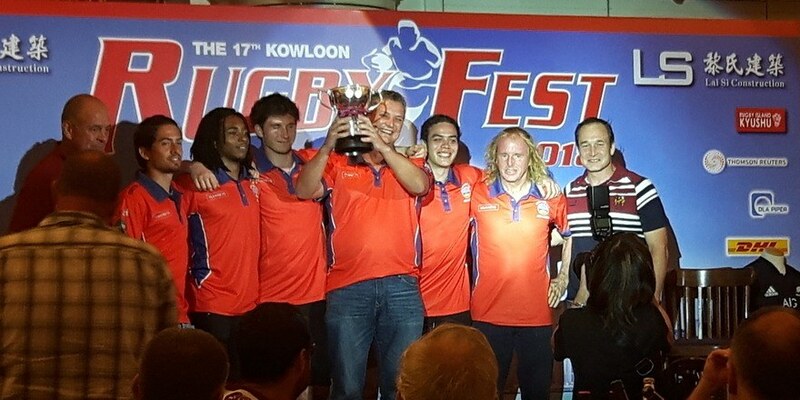 RugbyFest, better known as the Kowloon 10s, was first played in March 2002 to embody the true spirit and camaraderie of the game. The 10s are a lesser-known league that holds its trophy competitions each year on the sidelines of the larger, internationally renowned Rugby Sevens tournament, also held in Hong Kong. Kowloon 10s competition is an integral part of Hong Kong’s week of rugby, visited by teams from all over the world, including the BVI. RugbyFest is open to 24 men’s teams playing in a round robin format with four pools, each comprised of 6 teams. There is also a ladies tournament consisting of 8 teams playing in a round robin format. Each team can have a maximum number of 16 players. After the pool stages, winning teams progress to the knockout stage, made up of the following competitions: cup, plate, bowl and shield. The knockout stages follow a semi-final stage followed by a final in each competition. The BVI men’s team progressed valiantly through seven tightly contested games held on the day to get to the finals in their Pool D category, and were jubilant to be presented the victor’s cup at the RugbyFest dinner held the same night, according to Team Captain Stuart Cullen. A BBC story about the comeback of sports in the BVI following the storm, entitled “British Virgin Islands: How territory’s sports are recovering after Hurricane Irma,” was published in this year’s Kowloon 10s booklet. Cullen said teammates were particularly proud to bring the two youngest members on the team to Hong Kong. “It is great to give young players who grew up in the BVI and started playing in the BVI exposure to the international arena,” he said. The 20-year-old college students are Colin McDonald at Howard University and Mahmoud Ahmad at Florida International University. Both McDonald and Ahmad said they were grateful to get the Hong Kong RugbyFest experience. In addition to the team members that came from the BVI, some BVI veterans living in Hong Kong also played on the team. “The best player who scored the most was born in the BVI but has been living in Hong Kong for the last few years,” said Cullen. The BVI Rugby Team was sponsored by Harneys, SHRM, AMS, FTI and BVI House Asia. Both Cullen and Donovan expressed their gratitude to the BVI Hong Kong community, which demonstrated strong support for the BVI team. “It shows the affinity that people feel for the BVI even after they move away,” said Cullen.